Dr. Khoury attended the University of Texas at Houston where he received the prestigious Pierre Fauchard award for excellence in Dentistry. To further excel in his field, he specialized in Periodontics and received his Master of Science Degree (MS), his Periodontal Degree and his Advanced Anesthesia training from the Ohio State University. His desire to deliver the highest standard of care to his patients, led him to become certified in Advanced Cardiac Life Support (ACLS) and to seek his Diplomate status. So he is Board Certified by the American Board of Periodontology. His professional passions include minimally invasive surgical treatment using Piezo Surgery for Dental Implants, and 3D Guided Surgery for dental implant based reconstruction. He has vast experience with complex cases needing specialty care, such as full mouth reconstruction and bone regeneration. 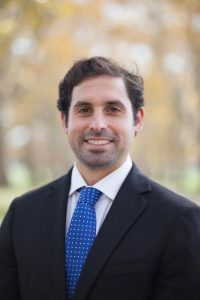 Dr Khoury is the senior editor of the national journal Implant Periodontics AlertTM, and is Director of the DDS Implant Study Cluband the Brandywine Spear Study Club. Furthermore, his contributions to research so far include several publications, ranging from dental implants to periodontal disease and oral cancer. 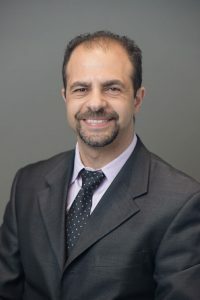 Dr. Khoury has many affiliations such as the American Academy of Periodontology, the American Dental Society of Anesthesiology, the International Congress of Oral Implantologists, the Academy of Osseointegration and the Delaware Valley Academy of Osseointegration, as well as the American Dental Association. With an experienced team behind him, Dr. Khoury is dedicated to listening to each patient’s concerns and understanding their needs, and with his expertise in IV Sedation he seeks to bring his patients a broader selection in their care and comfort and offer them Peace of Mind because “Peace of Mind is Priceless.”He has two periodontal offices In Newtown and Chadds Ford PA.
Dr. Juan C. Cabrera, D.M.D., M.S. Dr. Cabrera graduated from the University of Puerto Rico School of Dental Medicine and completed his General Practice Residency at the State University of New York in Syracuse, NY. His desire to treat medically compromised patients and restore complex cases in dentistry led him to practice hospital- based dentistry and treat bedside medically- fragile patients. He then expanded his knowledge in Periodontology, Prosthodontics and Oral Surgery, including dental implant placement and wisdom teeth extraction, by attending Temple University Kornberg School of Dentistry and went on to complete his Master’s in Oral Biology. Furthermore, he continued to treat patients with complex oral conditions at Temple Episcopal Hospital and trained under the Misch Institute of Oral Implantology, becoming a Diplomate of the International Congress of Oral Implantology. 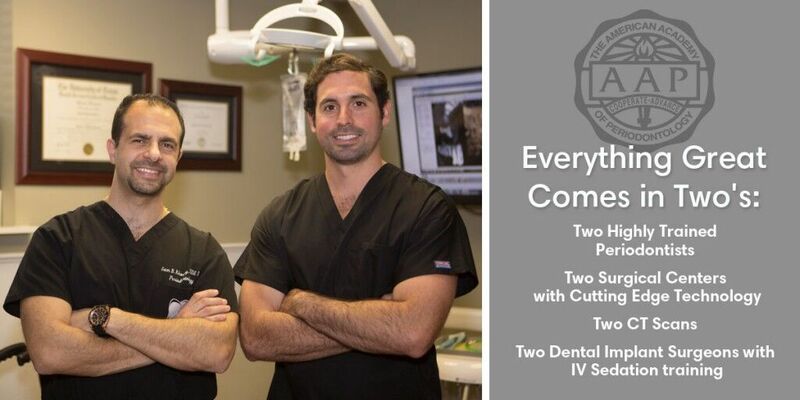 Dr. Cabrera focuses on complex implant placement cases using the latest CT scan technology for sinus lifts, complete maxillary and mandibular restorations, “All on Four”hybrids, ridge augmentation techniques, impacted wisdom teeth extractions and immediate dental implant placement in esthetic situations. Throughout his career, he has acquired his passion for soft tissue grafting, and practiced with the latest materials and techniques to assure good results and minimum patient discomfort. Dr. Cabrera is dedicated to providing the best possible results for his patients. He is bilingual in Spanish and English, and has various affiliations such as, the American Dental Society, the Academy of General Dentistry, and the American Academy of Periodontology, the Golden Key International Honor Society, and the International Congress of Oral Implantology. Outside of dentistry, Dr. Cabrera enjoys running, biking, offshore fishing, mechanics and traveling.